See Chris Malta’s Top Ten ‘Wholesale Tips’. In video Tip 7, you’ll discover how wholesale suppliers will process your account requests, and what you should expect when you submit your application to wholesalers. 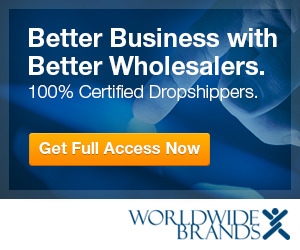 , Amazon, Yahoo!, or their own ecommerce website, will often get impatient if wholesale suppliers or dropshippers do not respond to their requests quickly enough, but very few wholesale companies are equipped to set you up overnight. This tip will tell you how long you should expect wholesalers to take to set up your account, explain what is involved on your wholesale suppliers’ end, and share which times and seasons you can expect to get the quickest response from most wholesale distributors and dropshippers. Drop Shipping -- Good or Bad Decision?